This floor-sized plant with its shiny dark green leaves produces striking white lily-like flowers all year. Perfect for home or office. Common name is Peace Lily. 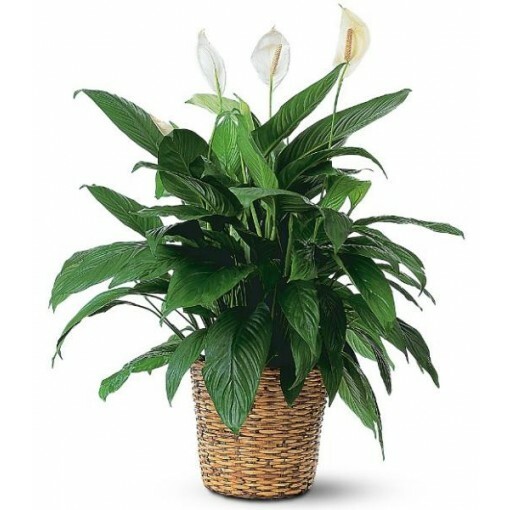 One 10" spathiphyllum plant arrives in a decorative wicker basket with bow. 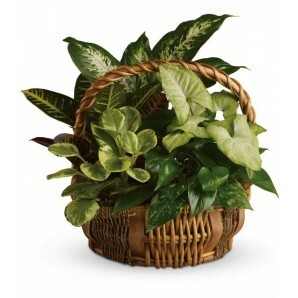 Perfect for home or office because plant likes low light levels.